Are you toiling with spreadsheets or limited by stand-alone business software? Save time and effort by choosing the starter package for the SAP Business One application. Gain visibility and control quickly while establishing an integrated software foundation to manage your business and support your evolving business needs. You may have heard about the many ways SAP software helps companies Run Simple. But did you know that more than 80% of SAP’s customers are small to midsize businesses like yours? 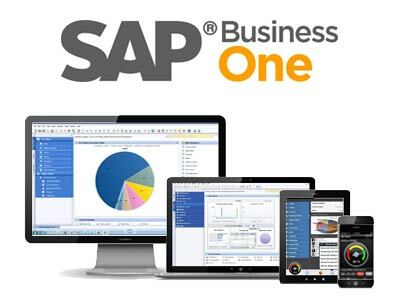 Now, with the SAP Business One starter package, you can use a single solution to help manage your entire business. The application is powered by SAP HANA to help you gain the real-time business insights you need. The starter package provides the best features of the industry-proven SAP Business One application, offered at a reduced price. Available through SAP channel partners and designed for up to five software users, the starter package can run on premise or in the cloud. The SAP Business One starter package is ideal for companies that want to improve efficiency, visibility, and control without the worry of having to switch software as business grows. You can upgrade to the full version of SAP Business One at any time without having to invest in new software. The starter package provides you with tools you need to keep existing customers happy while acquiring new ones. You can create quotes, enter orders, and provide better customer service. You can also track sales opportunities and activities from first contact to the close of sale. The software lets you manage and maintain customer contacts by synchronizing fully with Microsoft Outlook, which can increase sales effectiveness and stronger customer relationships. Every small business needs a systematic approach to managing the procurement process, from creating purchase orders to paying vendors. The starter package helps you manage the complete order-to-pay cycle, including receipts, invoices, and returns. The starter package also lets you readily manage your inventory and operations, including delivery, and billing. You can perform inventory valuation using different methods such as standard costing, moving average, and FIFO. You can monitor stock levels, track transfers in real time and across multiple warehouses, and run real-time inventory updates and availability checks. In addition, you can manage pricing and special pricing by automatically applying volume, cash, and account discounts to transactions with vendors and customers. The starter package provides powerful, integrated analytic and reporting tools to help you access the critical business information you need. With complimentary SAP Crystal Reports software fully integrated into SAP Business One, you can generate timely, accurate reports based on critical data across financials, sales, customers, inventory, and operations. The reports are interactive, enabling the ability to drill down through multiple levels of relevant data to get complete information quickly. Since the SAP Business One starter package is powered by SAP HANA, the package includes intuitive tools so you can explore and investigate information in real time. For example, search through all your data in SAP Business One with its enterprise search functionality. SAP offers a remote support platform for the SAP Business One starter package that helps reduce support costs by providing automated support for your software. The remote support consistently monitors your software, alerting you to potential issues and taking proactive corrective action immediately. The tool provides several services to keep your software running smoothly, including automated database backups, pre-upgrade evaluations, and system installation health checks. To optimize a successful experience with your new software, the starter package includes end-user documentation to help minimize initial training time. This documentation includes product help files, general instructions, and Flash-based demos for key business process and implementation tasks. Simple Upgrade to SAP Business One. If your business needs outgrow the starter package, upgrading to the full version of SAP Business One is a breeze. You simply keep your current starter package software and upgrade your user licenses. No software updates are required. You don’t have to buy new software, disrupt operations, or migrate your data. This risk-free approach is ideal for start-ups and growing companies that have five or fewer software users today and want to get up and running quickly with minimal investment and risk. As your business grows over time, simply import your new licenses and take advantage of the extended functionality in SAP Business One. Over time, if you need to extend your IT infrastructure because you’re increasing the number of users significantly, or if you need additional support or consulting services, your SAP channel partner can help you navigate your options. The starter package for the SAP Business One application is an integrated business management solution for small companies that is powered by SAP HANA. Running either on premise or in the cloud, the starter package helps you manage your entire business. You’ll gain instant visibility and control while building a stable software foundation to support your evolving business needs.